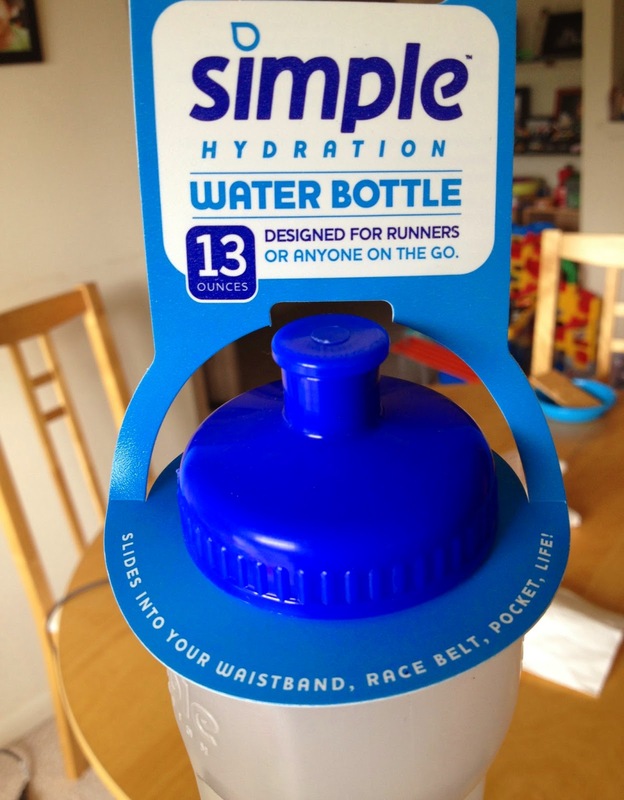 The concept of the bottle is that it slides into your waistband, race belt, or pocket and stays. If you look at the shape of the bottle you can see how the design is hook-shaped so that it will remain in place wherever you stick it. I must say I am very pleased with this bottle. Before this bottle I used a Nathan Hydration belt with two small bottles and it got heavy with the belt and both bottles with the liquid. However with the Simple Hydration bottle, it slides perfectly into my Flip Belt. It is comfortable and fits snug. It feels a lot better than the Nathan belt and it is so much lighter and sometimes I forget it is there when running. It is that comfortable! 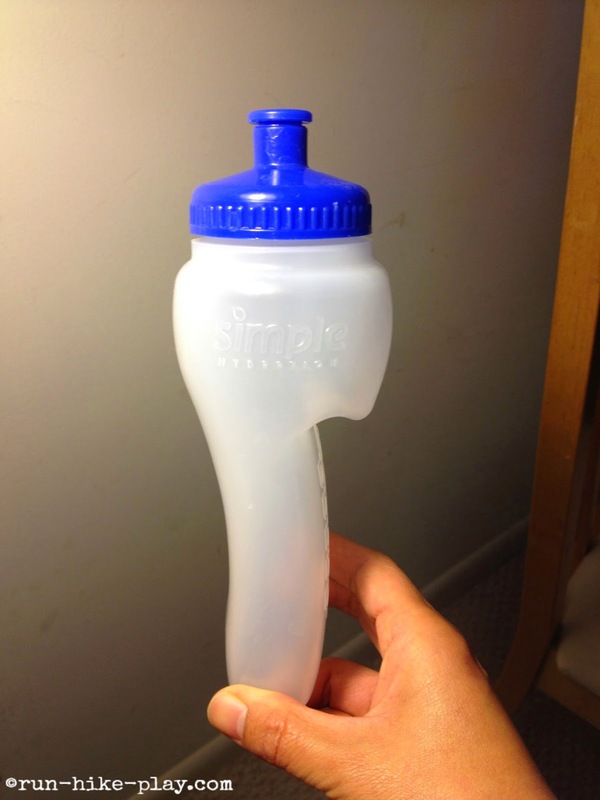 I have gotten it down pretty well on how to take the bottle out from the back, pop open the spout and drink. The process is easy once you have it down and the grip on the bottle helps nicely. It is great for long training runs and I use it for races 10K and above. Yes, I use it for my races. It is actually pretty awesome as I don't have to deal with stopping at water stops. I zoom past them and it is sooooo nice! I can drink whenever I need to hydrate. It is nice not having to think about where the next water station is. I wonder if this bottle aided in my PR streak...possibly? I started using the bottle for races with the Perfect 10 miler and I've used it for all races since (minus the 5K). 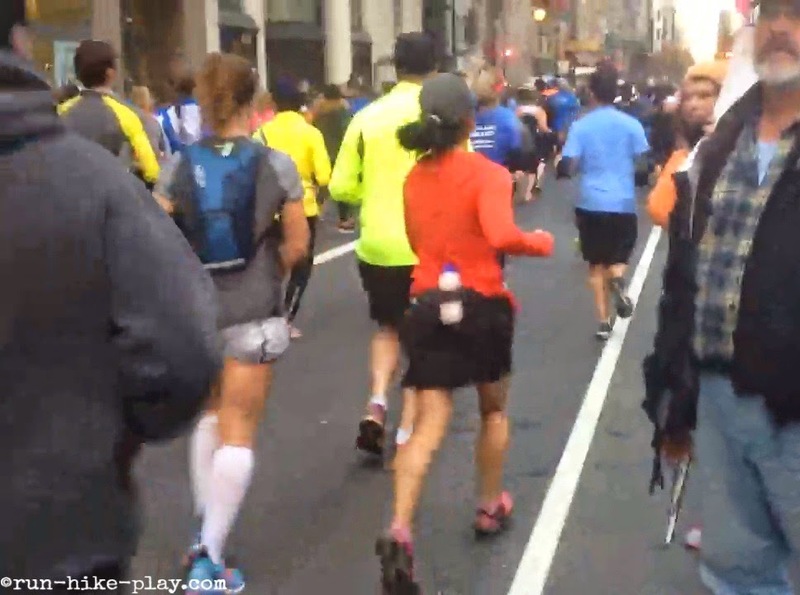 Below is a pic of me running with the bottle during the Philly Half marathon last month. If you want to see it in action, here is the full video clip Hubby took of me while running. 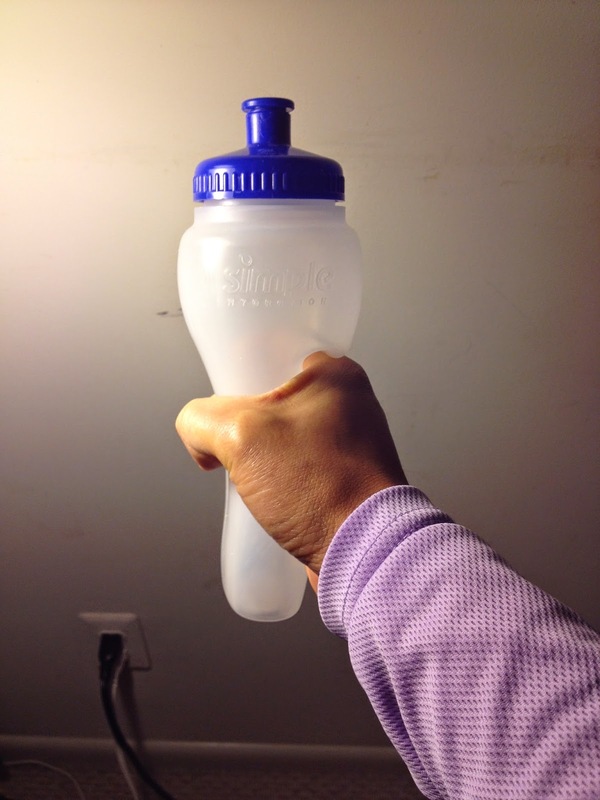 Overall it is a great water bottle to use if you need hydration for running! It doesn't bother me while running and is a lot lighter than carrying my previous hydration belt. It is like its name says, a simple hydration water bottle. The concept is so simple yet it works very nicely! You can check it out at http://www.simplehydration.com/. It retails for $19.99 so not a bad price. What do you use to hydrate on your long runs? Disclaimer: I purchased the Simple Hydration Water Bottle on my own and am not being compensated or sponsored in any way whatsoever, so all opinions are 100% my own. What a great product idea! I'm going to have to try this. I have to have water when I run but hate camelbacks. Interesting! I like how it is easier to hold. I bet its quicker to refill at water stations too (the nathan and fuel belt holster bottles are awkwardly shape). Hmmmm something I'll have to consider. Yes, something worth considering. It's got a wider opening than the nathan and fuel belt bottles so I assume quicker and a lot easier to fill without spillage at water stations. I have one of these as well. I think they are great and they are really well made. Very cool that it stays in place and doesn't ever fall out. How does the bottle do for holding temperature? It's not insulated so it's like any other water bottle. I have not ever heard of this but since it works with my new favorite running companion, my FlipBelt, I am putting it on my Christmas list! Thank you for the info! Very weird looking bottle :). I don't think i would ever try it if i didn't hear abt it fron reviews like yours. I really want an insulated bottle though so i'll hold out for that. Lol, yeah it's a bit weird looking but it works! :) Thanks for checking out my review Min!